All bookings are subject to our acceptance. You need to apply your own Visa to come to Malaysia. If you are a West Malaysian, you also need to fill in the immigration from upon entering Sarawak Check point. Outside the town areas, accommodation is usually very simple. It is often necessary to share a forest shelter or park hut with other groups. At longhouses guests usually sleep on the communal veranda. Meals are provided by our own staff; we can cater for most diets provided the request is made in good time. If you are a vegetarian, please choose the Vegetarian meals option if available. While we try to keep to the itinerary closely as possible, changes may be made to cope with new transport schedules or opening hours, bad weather, or other factors. Where overnight accommodation mentioned in the itinerary is not available, accommodation of a similar standard will be provided. If the alternative itinerary or accommodation is of a substantially lower standard, you may be entitled to a refund of part of the tour price paid. Travellers should be adequately insured for illnesses, injuries, deaths, loss of baggage and personal items, cancellations or curtailments. Your travel agent can offer you a comprehensive holiday insurance policy. Certain risks are inherent in jungle trekking and river travels. You are required to follow the instructions of our staff concerning safety precautions. We will not be responsible for any delay, loss, damage, injury, sickness or death occurring in connection with the tour. You should ensure that you have the necessary documentations to enter the country; check the details with you travel agent. No refund can be made if your participation in the tour is limited by immigration, police, or other official bodies. Shoes are the most important items ; they should be comfortable and grip well on muddy paths. Sandals or thongs are cool and comfortable around the hotel or lodging house. They also allow your feet to breathe naturally. Long pants and Long - sleeved shirt protect you from the sun and insects; bring at least one of each. Also a hat or cap. A raincoat poncho or waterproof jacket; a light sweater or jacket if you are going to a high altitude or for early morning boat trips. Plastic bags to keep individual items dry when it rains and during boat journeys. Insect repelland and sunburn lotion; a small first aid kits with your favorite foot powder, headache pills, sticking plasters etc. A lightweight sleeping bag for trekking and longhouse tours. Above all, try to travel light. Only bring items you really need....don't bring the kitchen sinks. Even if you don't mind carrying it, remember that you are entitled for 15 kgs only in the plane. "Strenuous" tours involve full days of jungle trekking, steep climbs, etc. Check the itinerary carefully and be sure you are fit enough before booking these tours. Seek the advice of your doctor if you have any doubts about your health. If you are pregnant, if you suffer from epilleptic fits, mucular cramps, hypertension, diabetes, heart disease, anthritis, peptic ulcers, chronic asthma, hepatitis or jaundice. if you have had a fever recently or if you are taking any medicines. 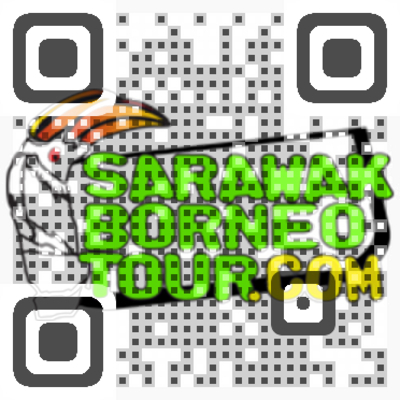 Sarawak and Sabah is remarkably free of tropical diseases. Even malaria has been eradicated, though if you come here from another tropical country you should continue to take antimalaria pills . Prices are based on costs and exchange rates applicable when this brochure was printed. We reserve the right to adjust price untill you have made full payment for your trip. The contract shall be between the customer and the owner and will not exist until the signed booking form listing listing all members of the party together with 50% deposit have been received within 2 working days of the customer making the provisional booking. If booking less than 4 weeks before the holiday, the full cost is payable at the time of booking . For all bookings made within 14 days of booking date, the full amount due MUST be paid by cash or if by credit card, must be cleared before entering the property. For web booking and payment by credit card, full prepayment must be received at time of transaction with our website. For web booking and payment by cash where the option is available, full prepayment must be received on specified no of days of travel before departure date. 1. If forced to cancel more than 1 month the holiday start date and after payment of the fund, 50% of payment made will be refunded less administrative fee if any. 2. If less than 1 month before departure then the full holiday amount paid will be forfeited. In any of the above cases, notification must be made to the owner with the appropriate medical certificate. In accordance to the newly implemented Malaysian Tourism Tax Act 2017 (Act 791), please be informed effective 1 September 2017, all foreign guests will be required to pay a mandatory Malaysian Tourism Tax (TTx) of RM10.00 per room per night. Malaysians or permanent residents residing in Malaysia are exempted from TTx and is required to present a valid identification upon check-in for the exemption.